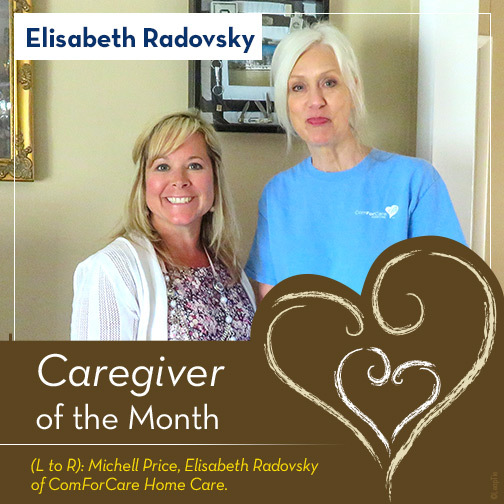 Family Legacy is happy to announce a deserving recipient for Caregiver of the Month, Elisabeth Radovsky of ComForCare Home Care. Mr. Williams is lucky to have Elisabeth as his caregiver and allowed us to present her award in his home! At the end of twelve months the review committee will select the Caregiver of the Year to be revealed at the Annual Luncheon. The Caregiver of the Year will win a 3-night trip to Florida, $200 spending money and an engraved gift and plaque.